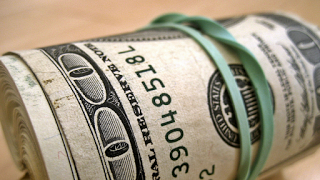 Which Cash Advance Company Has the Best Loans? It can be difficult trying to find the best company to offer you the best financial products, like cash advances, personal loans, and payday loans. It’s smart to think about it before diving in and to find a company that you feel you can trust and that offers loans that make sense for your needs. If you are in the market for a smaller, payday loan or cash advance, you don’t have perfect credit, and you need the money fast, Green Leaf Loans is the best cash advance company for you. Here are some things you may want to know about them. 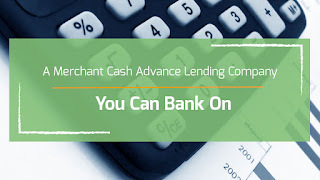 The last thing you need in a cash advance company is one that pushes big loans on you. 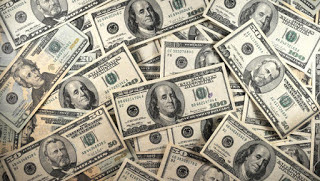 If you’re looking for a cash advance or a payday loan, you probably only need a few hundred dollars, or maybe a little more, to get the bills paid. What you don’t need is a $10,000-plus loan that you will struggle to repay on time and that will keep you in debt for the rest of the year or longer. Green Leaf Loans offers loans that match your actual needs. They provide smaller, more affordable and reasonable personal loans for people like you. You also don’t need a company that will turn you down for having poor credit. 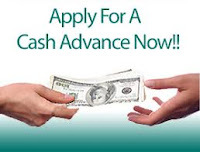 This cash advance company offers loans that are approved based on your income and job history more than other factors. While the lenders may take a quick look at credit or look at your history with payday loans, they do not set a minimum requirement for credit score to reject borrowers. Mistakes with money are easy to make, but they are hard to shake. 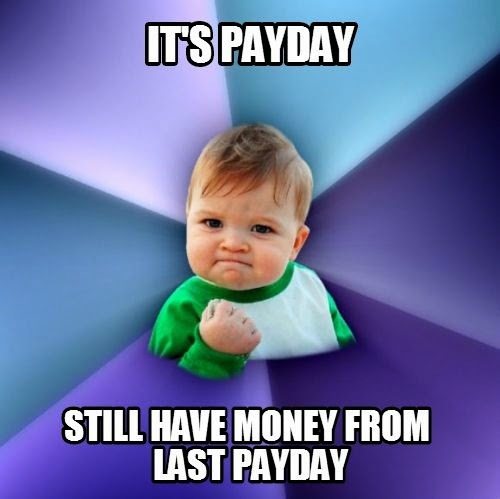 You need a cash advance company that realizes this and offers loans to real people who work hard every day. Green Leaf Loans also offers loans and cash advances that are fast. You won’t be waiting weeks or even days to get these loans funded. The process starts with a quick and easy online application or mobile app that you use to apply. 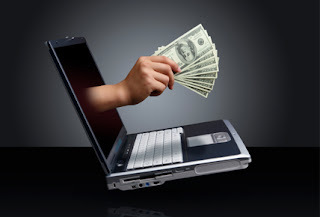 Within minutes you have your application in and sent to a network of lenders. These lenders work fast too. They get acceptable applications approved within 90 seconds so that you can get on with the rest of your day. From that point on you’ll only wait for the money that your lender transfers to your bank account to become available for you to access. What you want above all is to rely on a cash advance company, like Green Leaf Loans, that you can trust. The lenders here are not just legitimate but some of the best in the industry. 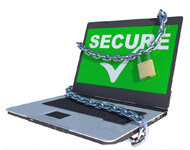 The online process is safe and secure, thanks to the best encryption. And, if you don’t want your information sent on for marketing purposes, you can opt out of that to further protect it. When choosing a cash advance company, go with Green Leaf Loans for speed, convenience, easy approval, and online security. 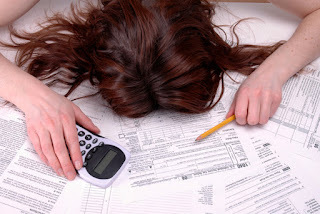 In A Bind – Green Leaf Tax Loans Can Help! Most of us don’t get to choose our pay periods and pay dates, even when life gets costly. Green Leaf tax loans are a faultless way to make things simpler while you wait for your paycheck. Financial obligations don’t show up when it’s calmest and easy to take care of them or when you have prepared and saved, so take advantage with Green Leaf tax loans. There’s no reason to stress until your next payday when you can be approved by an experienced lender for a loan in no time and you can get your tax refund cash deposited into your bank account without waiting on the government this tax season! It seems like the broken heater always happen before winter and car maintenance always pops up when you have a trip planned. Don’t miss out on essential prospects because you’re waiting on a paycheck to take care of an unexpected emergency. There’s no need to waste cash on gas or bug your loved ones for rides all week if you can get Green Leaf tax loans and repair your car now. You don’t have to give some of your loved one’s late gifts when you get your tax refund faster with Green Leaf tax loans! Your responsibilities don’t stop because your income tax refund is weeks from arriving, and neither should your capacity to take care of them. Submitting Your Information For Green Leaf Tax Loans Is Incredibly Easy Online! 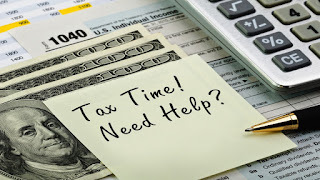 It makes no difference if you’ve filed your tax return Green Leaf tax loans has an easy and quick online tax loan process that connects you to a trusted lender you can finish any time or the day or night! Submitting your information takes a few minutes to finish, and experienced lenders are standing by to aid you in getting your refund faster. If you are a citizen who is 18 or over, all you need is a bank account and a job and our valued lenders will deposit funds into your account once approved. That’s all there is to the lending process, no dragged out approval or credit requirement, just the money you were expecting deposited into your bank account quicker than the IRS can get you your cash. It’s that easy with Green Leaf tax loans online! Throughout the cold seasons, it appears there’s always something to worry about – but with Green Leaf tax loans, your finances don’t have to be one of your stresses. You can avoid fees and pay your bills on time, and use your income tax refund faster, without waiting on the IRS to get you your hard-earned money. Frequently, we all get alarmed with unexpected expenses – but it doesn’t have to be so traumatic. Use Green Leaf tax loans this tax season to keep your finances under control, even when life keeps giving you financial obligations. It’s simple, go online using any device and submit your information to see how fast and easy the lending process can be. You could have Green Leaf tax loan cash in your bank account as soon as tomorrow, without having to bother with credit requirements or a long drawn out loan process. If you’re looking for a simple and fast way to get approved for a loan, you might be feeling a little swamped and exhausted. Many of the borrowers who wrote Green Leaf Loan Group reviews have had similar feelings – until our loans helped them with their finances and made life comfortable again! Satisfy your curiosity by reading Green Leaf Loan Group reviews below and fill out an application for your loan today. “When my air conditioner broke in the heat of summer and payday was at least a week away. I had no means to get it fixed and it was an emergency. A recommendation and quick search led me to reading Green Leaf Loan Group reviews and filling out an application for a small installment loan. In a matter of minutes, I had completed the simple application on my laptop and talked to one of their trusted lenders who worked with my income and low credit score. The lender deposited money directly into my bank account within one day and I was able to get my air conditioner repaired and get cooled off! I am so thankful and will always give a stellar Green Leaf Loan Group review. I don’t know if I would have made it if I hadn’t gotten a loan from Green Leaf Loan Group!” – Joan K.
Read The Reviews And Apply Now! Green Leaf Loan Group reviews are all encouraging because we offer an extremely effective service at no cost to the borrower. Our team of lenders are ready to go and willing to deposit money that you need into your bank account by tomorrow! What are stalling for? Read the Green Leaf Loan Group reviews and research for yourself – you could possess a few hundred to a thousand dollars cash in your bank account within 24 hours. Read why many consumers are turning to online loan companies like Green Leaf Loan Group from borrowers like yourself and apply today. What’s the real deal with these no credit cash loans? If you’ve heard of these loans, you have probably also wondered if they are for real, or if they are too good to be true. If someone does try to tell you that a loan absolutely requires no credit check, it’s probably a loan that requires you to pawn something precious to you or put your car up as collateral. For a no-risk loan, credit does have to come into the equation, but much less so than you may have thought. If you have poor credit, you need to hear about these no credit cash loans. We work with a great network of lenders for our no credit cash loans. This means that when you apply, you get access to all of them, at no cost, and they have very high approval rates. This is a big difference when compared to other types of loans, especially those that require a certain minimum credit score. Our loans have no minimum requirement, and in fact, our lenders don’t use the traditional credit score to approve applications. Instead, they look at things like your job history and loan history through a proprietary method of calculation that results in a much better chance of approval on every application. Another important thing you need to know about no credit cash loans is that they are much quicker and easier than other types of loans. One reason they are fast and easy is that you don’t have to go anywhere to apply and get approved. You only need to use your computer or mobile device to access a short application, fill it out, and submit it to our lender network. 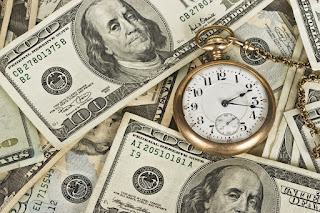 A lender will give you an answer in less than 90 seconds and if you get approved, you will get your cash by the next business day, typically the very next morning after you apply. With no major credit check hassle, these loans are fast. Sure, you can go to the pawn shop and get cash pretty quickly, but you have to give something up; you have to put something that is valuable to you at risk. A lot of people with the best intentions lose their possessions that way. And why go to the bank, for all that hassle, just to get denied? From the comfort of your home, you can apply for, get approved for, and watch the cash from your no credit cash loans show up in your bank account. It’s easy, fast, and comes with the best chances for approval. The best part? You get the cash you need to pay bills and take care of other important expenses that just can’t wait. Some people call payday loans predatory lending; some say that short term loans get poor people into cycles of debt; others say that only desperate people choose to use these loans. We have an alternative view that is much more positive. The people who perpetuate these myths are the people who never need to rely on these loans. 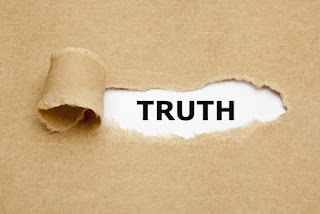 Let’s get behind the popular myths about short term loans and get to the truth. Anyone who has used short term loans would resent this characterization. People who take advantage of this kind of loan know what they are doing. They are as capable as anyone else of making informed decisions about money and borrowing. They know that they have multiple options when it comes to borrowing money and that they are not all one-size-fits-all. Some loans work better for some people and sometimes just for a particular situation. For instance, short term loans are great for those times you need just a small amount of cash, but you need it quickly. The interest rates on short term loans are higher in general than the rates on other loans. This fact has led a number of critics to say that no one can realistically afford the loans. There are very good reasons for the higher rates, though. These loans have short terms. This means borrowers have the debt for only a week or two. The result is that they pay just a little bit in interest, maybe $20 or $30 per loan, a reasonable fee that gets them quicker cash than other, longer term loans. Lenders that offer short term loans are not evil people out to make only a buck. And they certainly aren’t out to trap poor people. What kind of money can be made from people who have none, after all? If you apply for these loans you’ll see that there are few requirements, but one important requirement is that you have a job and a certain income level. These lenders will not give loans to you if you do not have the income to be able to repay the loan. It just doesn’t make sense to do so. Another big myth about short term loans and payday loans is that once you get into them you never get out. This is more of a reality for credit card debt than for these loans. Our lenders actually want you to repay your loan. This is why they consider income and job history such important factors for getting approved. They want you to be able to take advantage of the quick cash, use it to improve your circumstances, and then repay it with your next paycheck. These loans were not designed to be a cycle of debt, but to be a one-time deal. Now that you know the truth behind these myths, apply for short term loans whenever you could use the extra cash. Strict Credit Requirements Keeping You Broke? 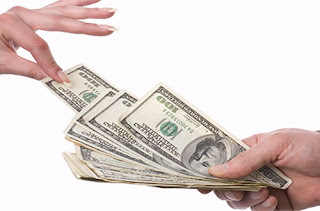 Try Our Installment Loans For Bad Credit! If you’re struggling with bad credit and financial problems, there’s no reason to feel embarrassed or alone. Recent studies have shown that 30% of Americans have bad credit – that’s almost 950 MILLION people! It’s a wonder there aren’t more options for such a large group of people to get financing or loans – that’s why we created the installment loans for bad credit. It’s a unique product, and we’ve teamed up with the most highly regarded lenders in the business to give you the best possible rates, loan terms, and overall experience. You won’t find a faster, easier loan process anywhere – in fact, you can get an installment loan for bad credit without leaving the couch. Our application takes less than five minutes to complete, and it’s as easy as being a citizen, who is 18 or older, with a job and a bank account. That’s it! What are you waiting for? Apply for an installment loan for bad credit through our website today. Most banks offer ‘low credit’ options, but they usually only provide low-limit loans and financing requiring expensive down-payments and lots of time wasted finding old tax forms, bank statements from years and years ago, and sometimes even physical collateral for a loan. Not only do our installment loans for bad credit help you keep your belongings and valuables safe, we work exclusively with lenders who have years and years of experience helping people with bad credit get financing. So once you’ve gotten your installment loan for bad credit from our lenders, they’ll report all on-time payments to the credit bureau, which could raise your score in a few months and make it possible for you to get other loans or credit card offers! When done through the right professionals, an installment loan for bad credit can not only help you today, but it can brighten tomorrow’s future too. 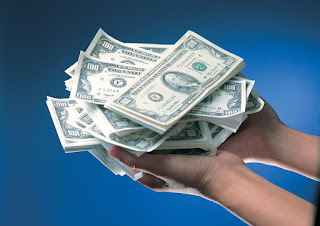 These Installment Loans For Bad Credit Are Bigger And Better Than Payday Loans! You’ve most likely seen the pros and cons list for payday loans, and while they are very helpful in a pinch, sometimes they just can’t provide the funds or long-term assistance like an installment loan for bad credit can. If you’ve applied for a payday loan of 8,000 but were cut off at $4,000 by the lending company, try applying for an installment loan with four installments of $2,000 each. Our lenders are flexible, experienced, and ready and willing to help you solve your financial problems – no matter how big or small! 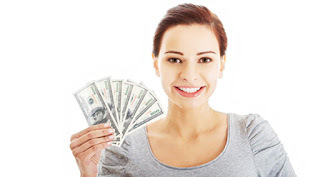 While payday loans are meant to be paid off pretty quickly and in one big payment, installment loans for bad credit offer flexible repayment plans with many options so you can choose the payment dates that work best for your budget. With so many options available today, it just makes sense to use an installment loan for bad credit to make your money work for you – and not the other way around. When it comes to tax loans, 2016 just might be your year. This could be the year you finally take advantage of this source of quick and easy cash. If you have thought about tax loans in the past, but weren’t sure they were right for you, this upcoming tax season is the time to take action. In fact, you don’t even have to wait for 2016 to be over; you can get one right now. Here are the best reasons to do it. Maybe you’ve had a rough year this year, financially. What if you could turn that around with a simple loan? With these tax loans, 2016 doesn’t have to be the year you struggled with money every month. It can be the year you finally took control of your bills and started making smart money choices. This could be the year that you use loans wisely, to manage your debt and to avoid late fees and other repercussions. We could all use a little extra cash around the holidays. This time of year is expensive, and although you may be looking forward to a tax refund in 2016, that doesn’t help you know. Get the cash you know is coming, but get it now through tax loans and you can take advantage of sales while also making and sticking to a budget for your holiday costs. Tax loans don’t have to be hard to get. Unlike other types of loans, these are easy. You can apply using a mobile app and get approved in a couple of minutes. Credit score doesn’t matter to our lenders, only that you have a job and are responsible about it. A good job history tells us much more about you than a credit score. For tax loans, 2016 is the year that you can get easy cash, without stressing about borrowing. Short on Savings? 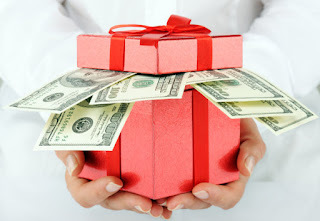 Holiday Cash Lenders Can Help! Right after the New Year a lot of us look at our credit card bills or bank accounts and say, “This year I’ll do better! This year I’ll save for the holidays and have the cash I need for gifts and travel and everything.” A year later… same thing! The fact is, saving is tough – all through the year different things seem to eat up any extra cash there might be. High utility bills in winter and summer, camp or activities for kids in the summer, school clothes and sports gear in the fall… When saving seems impossible, give holiday cash lenders a try instead! It’s a fast short-term loan you can apply for in minutes and use for anything – gifts, airfare, or just making ends meet during a slow season or mandated time off from work. 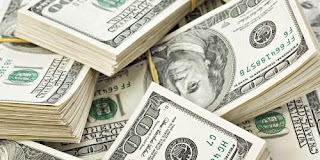 Holiday Cash Lenders Get Your Funds To You Fast! The worst part about a traditional loan is how long it can take. All kinds of delays can interfere with the process, from difficulty getting to the location to submit paperwork, to someone who needs to sign off on the approval being on vacation, to missing documentation. Sometimes the loan officers simply get busy and behind schedule! But with holiday cash lenders you will always have your approved funds deposited to your bank account the same day you apply, and available as quickly as your bank’s clearing process will permit! Depending on what time of day you submit your application, you can even get cash in less than 24 hours. One of the reasons everything can happen so much more quickly is that the whole process is completed online. The internet never closes, which means you can apply at any hour of the day or night, weekends, holidays – whatever is most convenient for you! Lenders are available 24/7 as well, so there’s no waiting while your application sits on someone’s desk or in a queue of documents awaiting processing, copying, faxing, or mailing. It’s all immediate, and that’s how you get approved within minutes and cash in the bank lightning fast! One more bonus advantage online holiday loans have over the traditional variety is that most lenders check your credit before they look at anything else. Not such a great score? Your chances just fell to zero. But not with Holiday Cash lenders – they understand that hard times have hit many of us over the years, and just because you went through a rough patch at some time in the past few years doesn’t mean you aren’t deserving of another chance now. 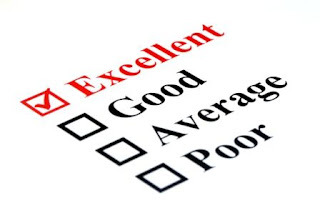 Our lenders have created their own proprietary list of criteria and evaluation system to make sure that your creditworthiness is being determined based on your current circumstances such as your income and your employment history. So no matter what other lenders have told you in the past about your chances of being approved for their loans or credit cards, if you are in need of holiday cash this year just click the Apply Here link, submit your information, and you’ll probably be happy and surprised at how much you’re qualified to borrow! If you want to be a smart borrower, make informed choices about money, and do what other savvy people do, it’s time to consider online loans. These loans are fast, convenient, easy to get approved for and far superior to other ways to get cash. Check out these four reasons the smartest borrowers always go with online loans. You just can beat the convenience of being able to apply for a loan in just a few minutes and being able to do it from anywhere. 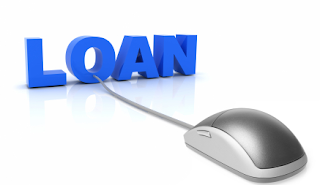 Online loans are convenient simply because they are online. You don’t have to make a call, go to a storefront, or go to the bank. Wherever you are, you just need a computer, tablet, or smartphone, and you can apply and get approved in minutes. Use the online application or the mobile app, whichever is most convenient for you in the moment. Approval is almost as convenient as applying for online loans, because the requirements are so minimal. Smart borrowers know that they are likely to get approved and to get approved in 90 seconds or less for these loans. Have a job, have a regular income, be at least 18 and have a bank account and you will probably get approved. Credit score is not important here, just the fact that you earn a living and can afford a small personal loan. Smart borrowers also know that with the convenience and easy approval of online loans comes fast cash. You can expect to get your cash in about 24 hours or less, by the next business morning. That means by applying now, you could have extra money in your hands by early tomorrow. There is no need to wait around for cash from a bank loan or to wait while a picky lender decides to approve you. Get cash faster like other smart borrowers. People who have done their homework about borrowing know that there are a lot of options. You can choose a pawn shop or a car loan or even a bank loan to try and get money, but online loans beat those options, hands down. You get more convenience, more affordability, more flexible choices, and faster cash when you choose online loans. One of the many handy things the internet has brought to us is an abundance of easily-accessed information, both official and unofficial. When you’re renting a hotel room in a vacation spot you’ve never visited before, the corporation’s description of the room and amenities is useful but reviews left by other consumers are likely going to be what sways your opinion of the place one way or the other. Fortunately, the same is true of payday loans – you can find reviews of them online too, and get firsthand information about the experiences others have had with various companies and types of loans. Gregory A. had a very similar response, although under different circumstances. “I’m not proud to admit it, but I’m not having the greatest luck with jobs right now. One of the restaurants I worked in closed down and I had to get something else quick, so my second gig right now is delivering pizza. It’s easy and I don’t mind doing it, but it’s hard to budget my money when I can’t be sure of how much is coming in on any given week. One week I needed cash fast so my rent wouldn’t be late and end up costing me more, so I went online looking at reviews of different short-term loan companies. The Greenleaf Loan Group reviews were all really positive. The rates are competitive, for the type of loan, and everyone said the service was good and there were no sneaky hidden fees or bait-and-switch kind of thing. All the info was right upfront on their website, even the interest rates, and I liked that.” Whether you need extra cash to make ends meet, to cover an emergency, or for anything else that just isn’t in your budget at the time that the bill comes, short term loans are a simple, fast answer – and you can easily find Greenleaf Loan Group reviews online that will assure you that you’re making the right decision like many others before you! Technology seems to be moving faster and faster – so much that most of us can easily list a dozen things we do drastically differently now than when we were kids. Some pieces of old technology have practically disappeared – answering machines, typewriters, cassette tapes – while others most of us couldn’t imagine a decade or two ago have become irreplaceable parts of our lives. The internet, in particular, has changed the way many of us do almost everything, from paying bills to planning a vacation – even communicating with our friends and family. We used to drop by their house or pick up the phone, but now texts and instant messaging is completely standard. 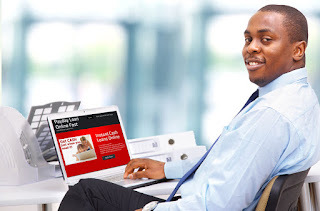 Getting an online loan has gone through the same transformation, and can now be done faster and more easily online than by going to your bank and talking to a loan officer in person. In fact, there’s a good chance that if you stopped by your bank branch to inquire about a loan, they’d direct you to first fill out the application that’s available on their website! There’s nothing easier or more convenient than online loans – not just compared to the old way that started with a paper application submitted at your bank branch. It’s even easier and more convenient than it was a year or so ago. The first step of the process was when internet security advanced to the point where most of us began to feel comfortable making purchases or even paying bills online. Next, loan applications began to be available on websites instead of on paper, so you could use the internet to apply more quickly and easily than the old way. Now, the latest advance of all – complete an entire loan application and approval process using just your smartphone! The websites have been made responsive so that everything you need to read and the forms you’ll complete are all as large and readable on your phone as they would be in a full-sized laptop or desktop computer browser. If you have data access on your phone, you can apply in just minutes from wherever you are – the ER waiting room, the auto mechanic’s shop, the dog park or your own front porch. Millions of Americans are living with the result of past financial mistakes, and it’s true that there are doors that will remain closed to you as long as your “Big Three” credit bureau-assigned credit score is below a certain range. Happily for those individuals, there are some companies that believe in giving people a second chance, especially after a certain amount of time has passed. When you apply for online loans, there’s a good chance your credit report won’t even be checked, because the lenders working with those types of loans use their own proprietary set of approval criteria instead of a standard credit check. They will consider things like your employment history, current employer, and income, giving you the same excellent chance of approval whether you have great credit or not. It’s still a week before your next payday, you have bills due, the rent is due, your car needs gas in it so you can get to work, and you realize with dismay that your bank account is empty, or even worse overdrawn. Guess what? You can fix this problem with Green Leaf 1 hour loans, and you can fix it in less time than you ever imagined was possible. You have choices for how to apply for these loans, which means you can apply when and where it’s most convenient for you. Want to get it done right now? Just pull out your phone and use our mobile app to complete the application. Do you need to wait until you get home from work? 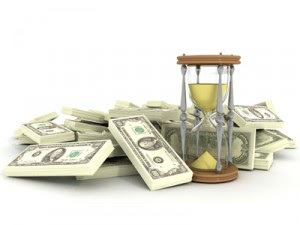 Our lenders are available around the clock, seven days a week, so you can apply whenever works best for you. 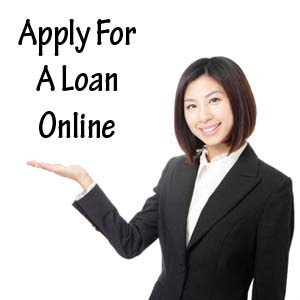 When you apply for Green Leaf 1 hour loans, you get the fastest service in the business. We get lenders on the job right away so you can get an answer right away and get back to your job, your family, or whatever else you have on your to-do list for the day. During normal business hours you can expect an answer within 90 seconds of submitting your application. Once you get approved for your Green Leaf 1 hour loans, your lender will get to work making it official. You will get online access to your loan document and the terms. You get a chance to ask your lender questions if you have any, and you can then e-sign that document to make it official. All this takes one hour or less. If you apply right now you could see your cash as soon as tomorrow morning. We work with speedy lenders who transfer cash to your bank account immediately upon making the deal official. That means you can access it by the next business day. Get started right now, and by tomorrow you won’t be worrying about money anymore. 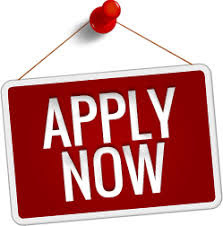 Green Leaf 1 hour loans are the fastest loans around and are the quickest way for you to get the cash you need this week. Can’t Make Ends Meet? Tax Refund Loans Catch You Up! We’ve all been there. Especially at certain times of year, expenses tend to get ahead of our income and we resort to paying bills late, pawning our electronics or gifts, or even borrowing from friends and family to tide us over until we can get our budget to balance again. Often, getting a long-awaited income tax refund is what gets everything back in order again – so why wait? 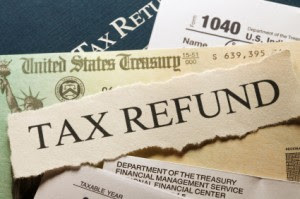 Tax refund loans are available all year round, so there’s no need to let yourself accrue late fees on your bills or put yourself in that fragile sort of situation in which you owe money to someone you have a personal relationship with and put that relationship in jeopardy. The best part of a tax loan is that it pays you twice – you get the funds when you take out the original loan, repay it as arranged (usually from your next paycheck), and then you get the full balance again when the government refund arrives. It’s easier than ever now to borrow against your tax return! Tax refund loans used to be a long and involved process, but no more. Now it’s as easy as picking up your smartphone – the one that’s probably with you day and night anyway – and clicking a website link. The application takes just a few minutes – it’s comprised of just a handful of basic questions to confirm that the basic qualifications are met and collect the information that will be required to execute the agreement. 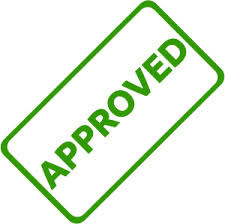 Approval takes less than two minutes, and you can have cash waiting in your bank account as soon as the next morning! It’s that simple – whether or not you’ve even filed your income tax return yet this year. Even better, there’s no longer a need to have your taxes completed by a preparation chain in order to get an advance on your loan – chains who deduct fees and interest from the funds they issue to you. 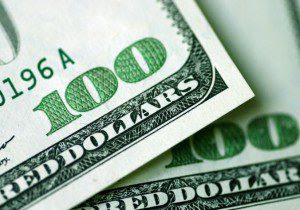 With GreenLeafLoanGroup.com you get every cent you qualify for! Do you need an advance on your tax return, but don’t want to share too much of your personal information with some anonymous company – or do you worry about internet security and whether an online loan form is a secure way to provide that data to a lender? Both are legitimate concerns, but you can let your mind rest easy! Let’s talk about the first one first. When you apply for a tax refund loan, you do not have to provide a copy of your tax return – this year’s or any year prior. You can apply even if you haven’t filed yet this year, and nobody will ever know the difference. In regard to the second question, it’s true that data breaches are in the news quite a lot. They do happen, but financial institutions and payment intermediaries have a stricter security standard than basic websites, and payday loan websites such as the ones that offer tax refund loans use the same type of encryption technology that banks do. 1. You promised your mom. Ok, you didn’t promise her you’d take out a loan, but you did promise you’d visit for her birthday or some other special occasion. When that occasion comes around and life has conspired to make it impossible to save up the cash you need for the trip –transportation, time away from work, and so on – you have the choice between disappointing the woman who brought you into this world or making it work with a payday advance. Which sounds better to you? 2. It’s going to be a hot, hot summer. Certain home repair and improvements are all too easy to put off when there are other, more urgent matters limiting the flexibility of your budget. You might need your window screens repaired or replaced, or have a central a/c system that isn’t working as it should. Before the seasonal temps start to hit the 80s and 90s on a regular basis, a payday advance loan can help you get what you need. Unlike credit cards and standard personal loans, which add a monthly payment to your household budget for a year or more, payday loans are usually completed within thirty days. 3. Your creditors don’t care that you missed days of work. Missing work due to being sick, or taking care of a child who’s sick, or for any other reason can really mess with your budget. If you work an hourly job you might not be guaranteed as many hours each week as you need to stay afloat – often you get that many, or more, but if you don’t? It’s time to start juggling bills – figuring out which ones are more important to pay on time, and which it’s ok to pay late. The trouble with that is that the late fees can cost more than a payday advance – you can avoid damaging your credit record, save yourself the late fees, and pay everything on time. 4. There’s no faster way to get cash. Most personal loans take time to process and be approved for. First you have to fill out an application, which sits on someone’s desk for a day or two before they can get to it. Approval can take anywhere from a few days to a week or more. What good is that if you need the cash for an emergency? Compare that to a payday advance – you can apply at any time of day or night because the whole process is completed online. Instead of making you wait for someone to review your application, lenders process and approve it immediately. Funds are disbursed to your bank account before the day is out, and depending on your bank’s policies you will have access to the cash by the next morning. 5. Bad credit is no problem. Unlike credit cards and bank loans, you don’t need great credit to be approved. The team of dedicated lenders who work with payday advance loans use a proprietary set of criteria to measure a person’s ability to repay and determine the amount of cash they are eligible to borrow. What’s Different About Online Lending? Compared to traditional bank loans and borrowing from credit cards, online lending offers some distinct advantages. The first and most obvious is that it doesn’t require a good credit score in order to be approved. Both traditional bank loans and of course credit card access are dependent on good credit, so if you don’t have that you’re out of luck. Another is both speed and convenience – the procedures in place at brick-and-mortar bank branches will take days or even longer to get a loan approved and put cash in your hand, and credit cards are faster but you still have to get to the bank during business hours to do it. Online lending combines the best of all possible worlds – speed, simplicity, convenience, and an absolute minimum of red tape like credit checks. Why Would I Choose Online Lending Instead of Other Options? Do you work during the day? Or have other responsibilities that keep you from spending time filling out a long loan application, hunting down detailed information and paper financial statements like prior year tax returns, going to the bank during business hours to meet with a loan officer? Most of us are at our jobs, or with our kids, or taking care of other aspects of our lives. What we really need – which online lending offers – is the chance to get a loan quickly and easily when it works for our schedule. For some that might be first thing in the morning, at the kitchen table with our morning coffee, before the rest of the family even wakes up, before the day gets busy. Others of us prefer late at night, after putting the kids to bed and curling up in our favorite living room chair. Still others need to be approved even faster – before the mechanic finishes looking at the car to give us a firm quote, or from the emergency room waiting area, knowing the copayment is due on the way out. How Do I Apply To Get Cash Through Online Lending? There are only a few requirements – you need to be a US citizen at least 18 years old, have a job and a bank account and meet the minimum income limits. As long as those are met it doesn’t matter if you have good or bad credit, and you don’t need to provide any documentation or credit references. Pick the time of day that works for you, as well as the location – anywhere with an internet connection works, even if that means applying from your phone. You can use any internet-enabled device you prefer to apply for online lending – the site is designed to look as great on your phone as from a full-sized monitor, and be just as easy to complete the application on. Once you’ve done that, you’ll get a response from our dedicated lenders in less than two minutes, so there’s literally almost no waiting. They will provide you with all the terms and conditions you need to know to decide if the offer being made is right for you, and if it is they make it easy to accept with a built-in electronic signature. The lender will deposit your funds directly to your own bank account, so they’ll be accessible to you as quickly as your particular bank’s clearing processes permit. It’s easy, it’s fast, and it’s as convenient as anyone’s been able to make it! It’s easy to feel as if the big companies and the banks have all the power when it comes to dealing with financial matters, but without us – without the “little people” who use their services and make their companies run smoothly – where would they be, really? Most of us probably don’t view ourselves as having any true power at work, since the perception is that if we don’t want to do the job they gave us during the hours we’re assigned, we’re easily and quickly replaced. However as a group we are powerful indeed – so much so that a whole industry has developed with the purpose of providing online personal loans to those who do not have enough zeroes at the end of their paychecks to interest the large banks. Loans too small to appeal to the mainstream financial industry have found a home with smaller services, and that’s a win-win for them and for you. Being on a first-name basis with the loan officer at your bank is an image out of another era, but is still the reality for those with sufficient means to be important to those banks. For the rest of us, acquiring a small loan to cover unexpected expenses used to be a challenge, but not anymore. Over the past couple of decades the internet has made it far easier to offer services to a large group of geographically far-flung people without extensive infrastructure and multiple brick-and-mortar location and many employees. 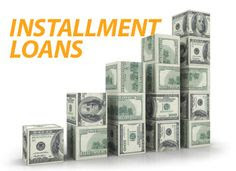 GreenLeafLoanGroup.com is one of the financial providers who has made it their mission to reach as many hard-working individuals as possible in order to provide needed financial assistance in the form of online personal loans. Anyone who needs a few hundred dollars to make ends meet or pay the cost of an urgent repair can now access those funds quickly and simply, whether or not they have a great credit score and a relationship with those who traditionally held the purse strings. In the times we’re living in, having an excellent credit score is considered vital to being able to access any types of loans or credit. If you want to buy a home or a car, or carry a traditional credit card, then rebuilding your credit after it’s been damaged is of the utmost importance. An online personal loan serves two purposes – one, it will provide the cash you need, quickly and easily, to take care of your family, make repairs, or manage whatever emergencies you encounter. Second, on-time payments are reported to the major credit bureaus and help to rebuild your good credit rating. By using these small and medium-sized loans wisely, you can both increase you peace of mind and quality of life, and invest in your future financial stability and options. No preparation, no travel, no rearranging your schedule, and no pesky paperwork – just a simple online form and cash available as soon as the next business day. One fourth of working Americans live paycheck to paycheck. Many families make it by on this type of lifestyle, but very few thrive during times of financial crisis. In fact, the majority of people that live paycheck to paycheck don’t have more than a couple hundred dollars saved up at a given time. When an unexpected cost surfaces, many paycheck to paycheck families have little to no options available to them. Luckily a company called Green Leaf Loan Group offers there green leaf payday loans is changing the way low-to-middle income families receive financial assistance. Green leaf payday loans are short-term loans provided through Green Leaf Loan Group, a financial services company that specializes in the fast cash lending industry. Their network of lenders lend their borrowers up to $2500 and expect their borrowers to repay the loan 2-4 weeks after they received it. 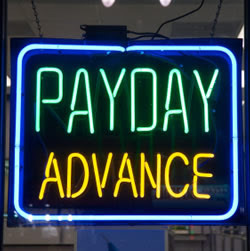 It’s called a payday loan because people usually receive a loan up to the amount of their upcoming paycheck. There are no credit checks, no faxing, and no lengthy paperwork process. Families prefer Green leaf payday loans to other financial service companies because of the speed of service and safety of the site. 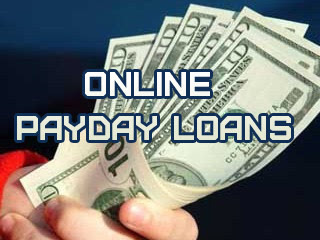 Green leaf payday loans are affordable and hassle-free, too. Green Leaf works with a private network of direct lenders. Direct lenders provide some of the cheapest interest rates currently available. Green Leaf sought out the best direct lenders because they wanted to help their customers get the cheapest APRs they possibly could.